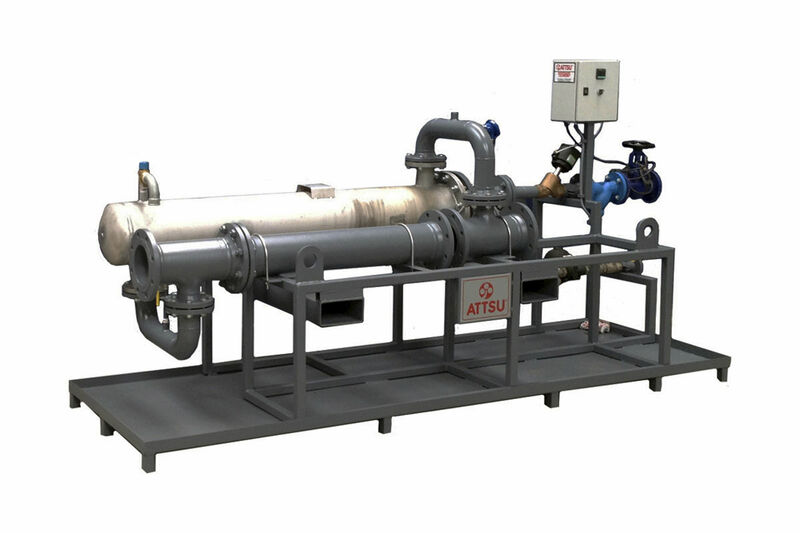 Shell and tube heat exchanger / gas/liquid / stainless steel / steel - IVL series - ATTSU TERMICA S.L. 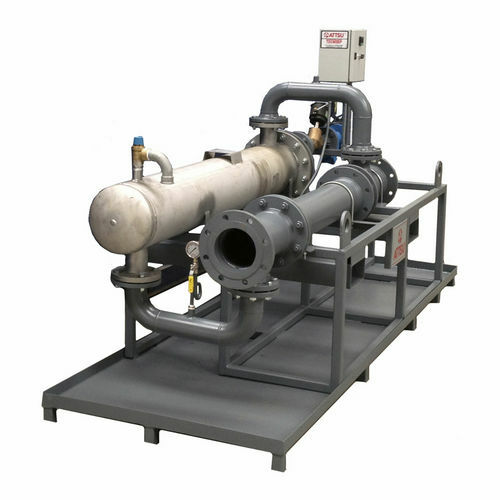 Industrial machines and equipment > Heat Exchanger and Refrigeration > Tubular heat exchanger > ATTSU TERMICA S.L. IVL series ATTSU TERMICA S.L. The IVL is a heat exchanger specifically designed for heat all kind of liquid with steam. • Wide power range from 15,000 kcal / h.
• Make by stainless steel or carbon steel depends of industrial application, for increasing his shell and tubular exchange live and durability. • Reduced size, the result of long experience constructive and constant product improvement. • Outstanding easy of cleaning both circuits. • Superb heat transfer, as in the design for maximum speed of both fluids which favors the exchange and gives us a set of maximum efficiency. • it can be supplied with differents shapes: fork, coil, tubular exchange... to get the maximim heat exchange and maximum efficiency in the industrial process: . • Access to all components and easy maintenance result. • The equipment can be supplied with valves, pumps and controls, analog output and communications port for remote logging.